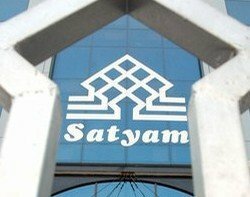 India's governmenthas imposed a board of directors to stabilise troubled Indian IT services supplier Satyam following the recent $1bn fraud. The man at the centre of the scandal, chairman B Ramalinga Raju, was arrested by Indian police on Friday. Raju admitted last week that he had fiddled the company's books for several years. The revelation came in a letter to the company last week, in which Raju offered his resignation and confessed to inflating the company's financial figures. The three directors appointed by the Indian Ministry of Corporate Affairs are Deepak S. Parekh the Chairman at HDFC Bank, former NASSCOM president Kiran Karnik, and National Stock Exchange director C. Achuthan. The board is expected to meet within the next 24 hours. "Satyam welcomes this key development, which will ensure the company's continued operations, help maintain customer confidence and [staff] morale, and restore investor trust," said a statement. Restoring customer and staff confidence are essential if the company is to survive. More than 14,000 Satyam workers had their CVs on the web within a day of the news of the fraud breaking, according to Kris Lakshmikanth, CEO at Indian recruitment firm The Head Hunters India. Phil Morris, managing director Europe at outsourcing consultancy Equaterra, said it was vital that the Indian government stepped in. "This is a clear demonstration of how important the IT outsourcing industry is to India's economic development."